Mixed reviews on this one. I will quickly say that it felt like borderline erotica that was poorly executed. 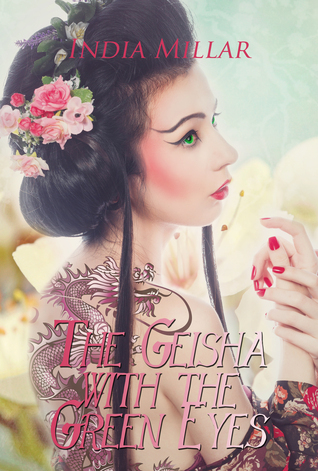 I also think that at the start that the writing style was mimic of the writing style of “Memories of a Geisha”, but where in MoaG it felt authentic, in this novel it just felt amateurish and childish. Also you had the main character that was obviously powerful in her own right, and at times, she seemed to know this, but most of the time she was still dogeza with the other girls. SHe plainly knew the workings of the culture as it was all she knew…She noted the powers that some of the girls had over the others and noted the powers that her “auntie” had…even though men were always in power at the end of the day…however, it still bothered me that she seemed so subservient to everyone, even though she, in her own right, was put into several positions of power by some of her patrons. Many times I wanted to put this novel down and place it in my DNF column. There are many parts of the story I would have liked to seen handled differently. However, at the end of the day, I wanted to see what happened at the end of the story. At the end of the day I think there was some great potential here to make a mediocre novel into something that was very good. Yes it fell short, but I spent a great deal of time imagining and thinking about this novel when I wasn’t reading it. I just couldn’t manage to put it aside and felt compelled to finish it. I didn’t want to walk away and leave it undone. That in itself is something. I have to give credit where credit is due. No it wasn’t written as I wished it had, some parts of it I found silly even, but despite all of that, I had to finish it and I am glad that I did.